Some games you get because they're engrossing single-player adventures that give you a fulfilling mix of action, exploration, and compelling narrative. Some games you get because you like SHOOTING MOTHERFUCKERS YOU KNOW WITH A TANK YEEEEEEEHAW. 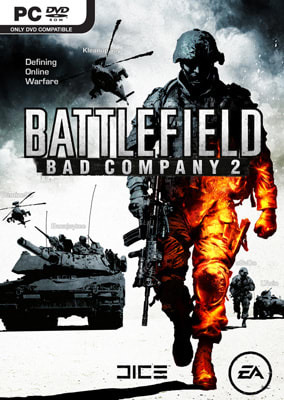 BFBC2 does have a single-player campaign, but its draw lies almost entirely in its infinitely playable multiplayer implementation. Free (for the most part) of the pre-pubescent racists that plague the Halo and Call of Duty online communities, the title is a pinnacle of personal fragging fun. Destructible environments, vehicle piloting, and well-balanced classes; there's a reason we've hardly played MW2 since March.